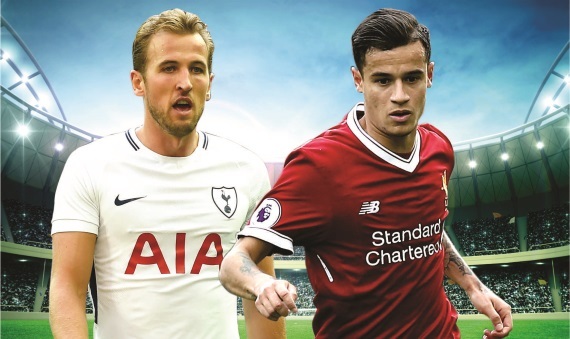 The biggest Premier League match of gameweek 9 sees Liverpool face Tottenham at Wembley Stadium on Sunday afternoon. Mauricio Pochettino's men are third in the Premier League on 17 points, while Jurgen Klopp's side are four points below them in eighth place. Tottenham have finished above Liverpool in the last three seasons, however, they’ve failed to beat the Reds in their last 10 attempts, suffering seven defeats. Tottenham finally broke their Wembley hoodoo as Christian Eriksen's early second-half strike gave Pochettino's men a 1-0 victory against a spirited Bournemouth side last Saturday. Having picked up maximum points from their four league games on the road this season, it was Spurs' first win in four attempts at their temporary home. After breaking their Wembley curse, Pochettino's men will now need to end their poor record against Liverpool. The Argentine will be happy not to be facing Sadio Mane. Spurs' last game against the Reds ended in a 2-0 defeat with the Senegalese netting both goals with a clinical performance at Anfield, making him the dangerman the Lilywhites were most afraid of. Harry Kane will be hoping to net his third goal against Liverpool and also his first Wembley goal in the league this season. The England international had an off day in front of goal against Eddie Howe’s team last Saturday as his incredible scoring run came to an end. Kane has been in deadly form this season, netting six goals and with Eriksen and Dele Alli behind him, Spurs look lethal in attack. In team news, Danny Rose and Mousa Dembele have given Pochettino a massive lift by returning from injury while Erik Lamela could be fit to make the substitutes bench, but Victor Wanyama remains a serious doubt with a knee problem. Liverpool couldn’t find a way through against Manchester United as they were held to a frustrating goalless draw at Anfield last Saturday. Despite dominating throughout the game, the Reds couldn’t break the deadlock but there were lots of positives for Klopp to take. They coped well without Mane and stopped United from scoring for the first time this season. Liverpool will be confident of returning to winning ways as they boast an impressive recent record against Spurs, who have dropped seven points at their temporary home already. Klopp’s fast-paced attacking football could make it even more difficult for Spurs to play at Wembley. Mane will obviously be a massive loss for Klopp, but the German still has some dangerous attacking players and huge scoring threats with the likes of Philippe Coutinho, Roberto Firmino, Mohamed Salah and Alex Oxlade-Chamberlain. Oxlade-Chamberlain, who signed from Arsenal in August for £35m, will be hoping to creep into Klopp's thoughts for a starting place after his encouraging performance against United. Coutinho will be the key man for Klopp’s side and will cause all sorts of problems with his roaming, dropping deeper to involve himself in play and getting further forward when Liverpool have possession to both create and score goals. Lloris; Alderweireld, Sanchez, Vertonghen; Aurier, Dier, Dembele, Rose; Eriksen, Alli; Kane. Mignolet; Gomez, Matip, Lovren, Moreno; Henderson, Wijnaldum, Can; Salah, Coutinho, Firmino. Liverpool love playing against the top teams and they’re unbeaten in their last 10 meetings against Spurs, winning seven times. Spurs have struggled at Wembley and I’m backing the Reds to come away with maximum points.